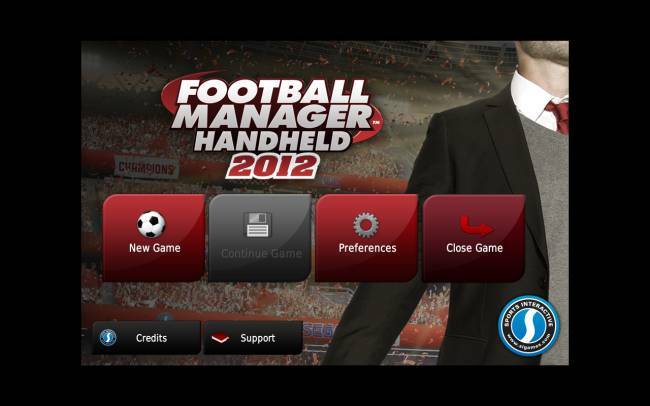 Football Manager Handheld 2012 First Play Review! Finally it's arrived! 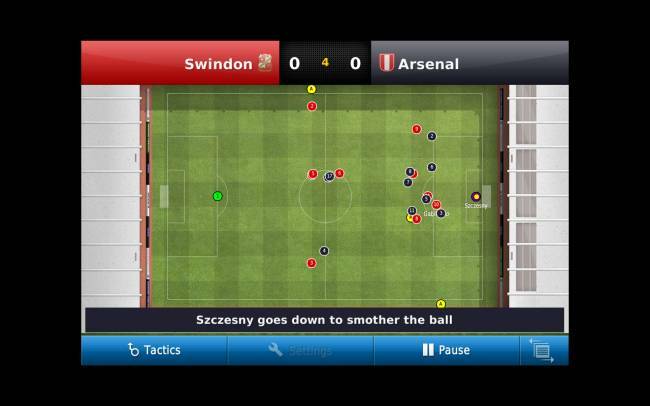 Football Manager handheld has come to android after a long wait. Can this age-old relationship killer and recluse creator recreate the football management experience on your android smartphone? The answer may just be provided below! Once you download the game, there is additional data that must be downloaded once the game is opened. This will be between 7-19mb depending on your phone. SI missed a trick here and should have used the additional data feature of the Google market so that everything is downloaded together. Surprisingly the additional download is extremely quick, downloading in about half a minute for me on WiFi. However the installation of this downloaded data took about twice as long for some reason. Once you actually start the game, you are shown the main menu. There is an immediate issue here, one those with larger android screens will find really annoying, as the game doesnâ€™t actually fit in the whole screen. In fact on my Galaxy Note, it covers about two-thirds of the screen only (that's what the black border is on my images in case you were wondering, kept to show you just how big it is). Now SI have said that the game only supports a number of screen sizes to begin with, and that they will be increasing this in the immediate future. I really hope so, because as an expensive game you really want it to work optimally on your device.The addition of some sound would have been nice at this point too, as it is youâ€™re stuck just listening to finger click noises upon pressing icons. You can check out the game preferences from here, something I personally check before starting a new game. From this screen you can change items such as the game language, currency, attribute masking, use real players and start unemployed. You can also edit various user interface preferences such as flashing text or interface hints from this menu. Clicking on the New game button brings you to the first setup screen. From here you can choose either career or challenge mode, the two game options included within the game. Challenge mode lets you take over a team in a precarious situation which you have to overcome. There are initially four different challenges ranging from trying to avoid being relegated to attempting to go the whole season without being defeated. After selecting a challenge and league to perform the challenge in you are asked to enter your first and second name. 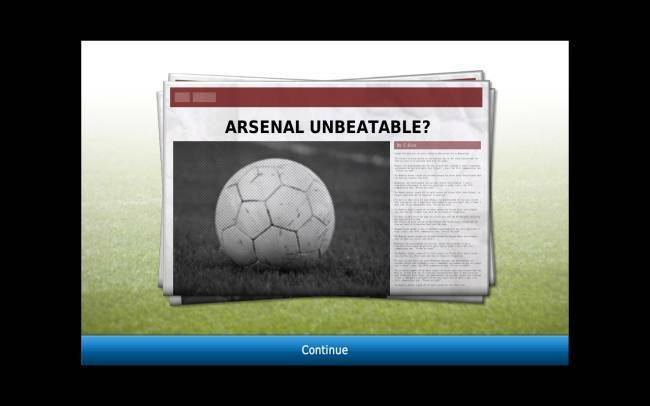 SI kindly provided an inbuilt keyboard to do this with, and itâ€™s not the best.. 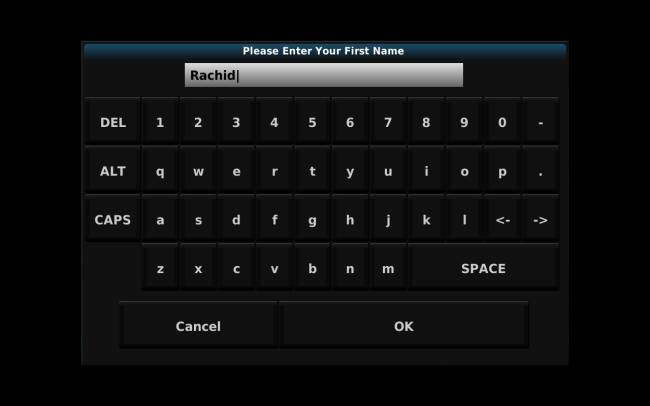 I found it quite slow to recognise my touch and as such took me a bit longer than normal to actually enter my name. Following this you select your Nationality and club. The game kindly warns you at this point that setting up a challenge could take a while. For me it took only about 30 seconds which is completely fine for the initial setup. Now youâ€™re within the main game, which Iâ€™ll go through a bit later on. Career mode sees you playing Football Manager in the traditional manner, take control of any club and try to lead them to glory! Career mode lasts for 30 seasons which isnâ€™t too bad for a mobile game, I struggled to last that long on the PC version so weâ€™ll have to see how good that limit is in time. Configuring the game is quite similar to beginning challenge mode, the only difference being you donâ€™t have to select a challenge to begin with. The setup of Career mode is pretty much instant compared to the half a minute to setup a challenge game. From here on in, the game is pretty much exactly the same for both game modes. You are welcomed to your new club and given some general advice from your assistant manager on the state of your squad. One thing I do like about the game is that nearly all links are clickable. For example clicking a player's name will take you to their player profile, clicking on a nationality will take you to the nation team squad etc. 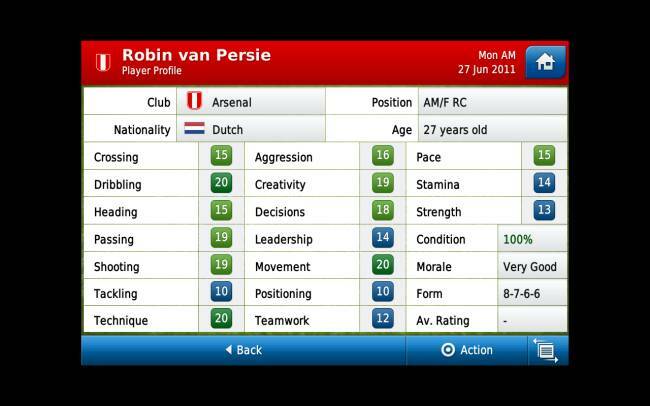 When viewing a player's profile, you can see their basic information and ability scores. There is also an actions button and a links button, the options within each change depending on the type of person (player, coach, etc) and if they are part of your team or not. Player links are almost the same for your own players and other teams players, except that you can request a coach report on your own players. Included are all the essentials from the PC version of the game such as training schedules, tactics, media attention, set pieces etc. The game is really a monster and itâ€™ll take you a while to get through everything. So you get the coach report on the opposition as well as a brief description of how your assistant thinks the game will go. Continuing on you are taken to the squad selection screen where you can make pre-match changes as required. Actually selecting and switching players is a bit fiddly on the touch interface. Iâ€™m hoping this will improve once the screen size is changed to full screen, especially with all the screen that's available to use on the Galaxy Note. Once the match is in progress you can make tactical changes, substitutions and player roles that come into effect immediately. You have a number of visual options during the match too, a zoomed pitch, full pitch or commentary only. Pitch view shows you highlights only, with the rest of the action coming through as commentary. You also have a choice of game speeds as well. There is also a wealth of information available to view while the match is in progress. Selecting one of these options simply pushes the commentary down to the bottom of the screen. The game moves along quite smoothly on the Galaxy Note, and from what I hear this is apparent on other less powerful devices too such as the original Samsung Galaxy S.
There really is a lot of information within the game, which could be quite confusing to the average player, but a seasoned Football Manager fan will be in heaven! The game does have a few bugs, notably the screen size issue and fiddly touch screen components in places. It is also a bit pricy in relation to what we normally expect android apps to cost. However I canâ€™t help but recommend this game, especially to those of you who have played Football Manager on the PC before. This is a nice intro to android and should only get better with SI working on improving it and adding more supported devices. Oh, and if you donâ€™t hear from me much anymore, you know why!